The Kazan factory of Russian Helicopters built the 3500th export model of the Mi-17 series, which will be sent to India as part of a 2008 deal. Russian Helicopters’ 3500th export special “jubilee” model of the Mi-17 will be delivered to India, as part of a 2008 sales agreement. 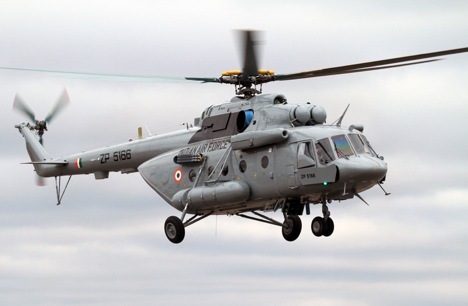 India had purchased 80 helicopters from Russia for $1.375 billion. “Today, the Russian side has completely carried out its obligations in relation to this,” Russian Helicopters said in a press note. “In 2012-2013, additional agreements were signed for the supply of 71 vehicles, which the holding company Russian Helicopters is producing in accordance with the agreed upon timeframe.” In December 2012, India purchased the additional helicopters for $1.3 billion during Vladimir Putin’s visit to New Delhi for the 13th annual summit. When the Indian state of Uttarakhand was hit by floods in June 2013, the Russian-made military transport helicopters rescued stranded pilgrims. Last month, Mi-17V-5 helicopters evacuated some 200 residents of Indian villages in the northern state of Jammu and Kashmir, which had been cut off from the rest of the country as a result of a sudden cold snap and heavy snowfall. Soviet and Russian made helicopters have been employed successfully in India for more than half a century. The first Mi-4’s were delivered in January 1961. Over the past decade, Mi-26, Mi-24/25/35, and Mi-8/17 helicopters have also been supplied to India.